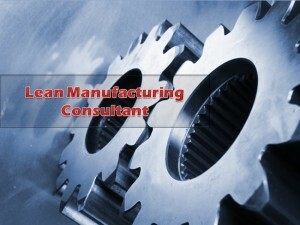 Lean manufacturing is a complete solution for any company or service organization. The process aims to minimize waste and reduce costs through automation and continuous improvements in operational efficiency. The basic of lean manufacturing could be understood as shift in the culture of the company with the help of tools, resources and employees. However, lean implementation can be quite challenging for the organization as different wings of the company poses different challenges and one has to resolve all the problems to achieve a truly efficient lean manufacturing system. Here are some of the biggest challenges which company while the course lean implementation. The first and important thing which needs to meet in the lean manufacturing is your total expenses. Yes this modern proactive system is costly to run. It takes cost to get more updated production line and latest suitable equipment. It is a universal law that good things are always expensive. A lean manufacturing could pay off numerous advantages and in long run, surely manage to increase your production and revenue, but initially it consumes lot of money. So, a company has to cover all these costs before seeing benefits of lean. Lean manufacturing methodologies are totally based on latest trend trends in the market. Hence, it could create a talent gap between the existing workers and desired workers which must be crossed. It requires highly skilled and educated employees to inspect, repair and carry the process of automated production technology. At that time companies have to either train the existing employees or higher cognizant workers. In both the situation, company has to take a tough decision for the development. Lean manufacturing introduces a shift in the way work is executed throughout the organization. Sometimes it leads to oppose by employees. One could say it is not easy to accept any innovation, even the ones which bring out improvement. In lean manufacturing, every individual takes more responsibilities rather than dividing it with many. This is the main cause why lean faces criticism but once you come out with this frame, you could become a great organization. In a manufacturing organization, the two of the biggest reasons of break down are maintenance and insufficient or unpunctual supply of materials. Lean manufacturing focuses on implementing a strict time order system to ensure that raw materials constantly meet operational demand and hence there should be Zero-breakdown. This requires close coordination with the suppliers and good storage availability within the company. For better management company can hire a Lean manufacturing Consultant that works on lean principles to provide substantial benefits to the organization unless it is not opposed. Employees have to understand the advantages of this system which could develop the situation. Also, company should know what challenges they have to face and be ready with its solution.